The island of Kefalonia is home to many local fairs and festivals of religious and non-religious character which are held throughout the year. The patron saints of Ithaca are honoured in the villages with abundant food and drinks and traditional dancing till the early morning hours. The 15th of August is a great festival in honor to the Virgin Mary. The largest celebration is held in Markopoulo village, on the southern side of Kefalonia island, where the icon of Virgin of the Snakes celebrates. The legend says that this icon was found circled by snakes and these snakes appear only once a year in Kefalonia, the week from August 6th to August 17th. In the villages of Markopoulo and Arginia, the snake festival takes place every August. On August 16th, there is a large festival to honor Agios Gerasimos, the protector of the island. Many pilgrims visit the Monastery of Agios Gerasimos and also a Holy Mass takes place in the cave of the saint in Lassi. On July 11th is the name day of Agia Efimia. On the 23rd of August celebrates the Monastery of Panagia Agrillion in Sami. A ceremony is held followed by a great feast with traditional music, dancing, food and wine. The Robola Wine Festival takes place usually in the third weekend of August in Fragata. The festival is organized by the Cooperation of Robola Producers in Kefalonia and concentrates thousands of visitors. There is free robola wine, food and dancing till the early hours. 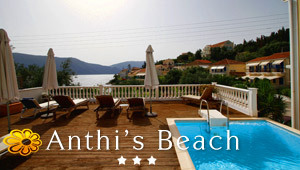 The International Music Festival is held annually in of Argostoli, the capital of Kefalonia, in the end of August.